A similar market sentiment has taken over almost all leading crypto-coins prices for the past few days. With sellers having their saying on the 8th of November, values returned lower after a noticeable bull-run but the weekly end-result is by no doubt positive as digital assets have taken position on a higher trading ground. 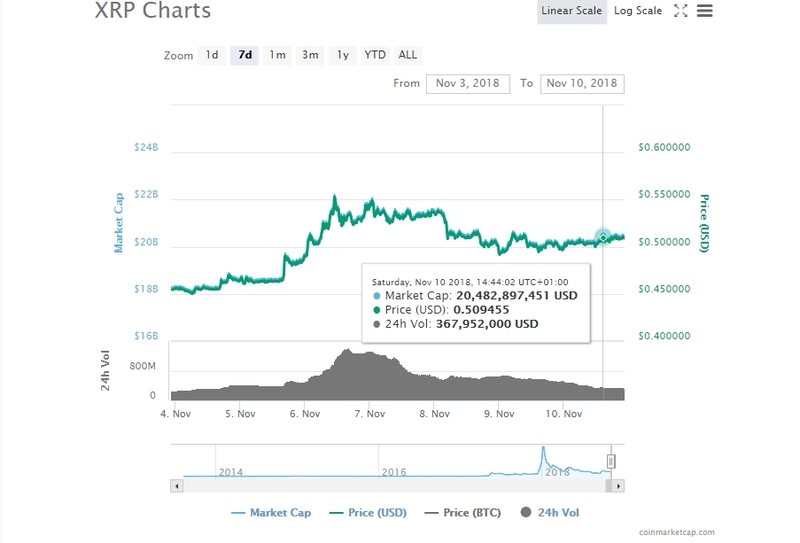 The third largest coin by market cap XRP [XRP] by the San-Francisco blockchain-developing payment protocol firm Ripple-Labs is changing hands against the US Dollar at $0.50868 with 1.89% increase in the last 24-hours. On the daily chart, the pair has already overcome the formed declining trend while balancing bulls and bears above $0.5000 signaling there is still support to stand ground or even move higher. Longer performance chart since May 2018 – tanking declining trend still heavily impacting. Weiss Ratings put the speedy coin under the must-buy assets in the digital currency industry rating it B – Buy, as it did also mark Stellar’s XLM, Cardano ADA and EOS. And “C” implies no action — “hold” if you already own it; “avoid” if you don’t. Bitcoin was rated C as to hold or avoid if you do not have it. With Nasdaq’s [National Association of Securities Dealers Automated Quotation] crypto-platform coming in early 2019, the firm is in the talks with Ripple to bring XRP as one of the first cryptocurrencies to be listed on the exchange. During the dialogue, it has been highlighted out that there is much chance that XRP will end up next year as the second largest coin by market capitalization in the crypto-verse. The source went further to explain that, based on Ripple’s management team and its level of operation in the banking industry, it meets all Nasdaq standards established for market capitalization. 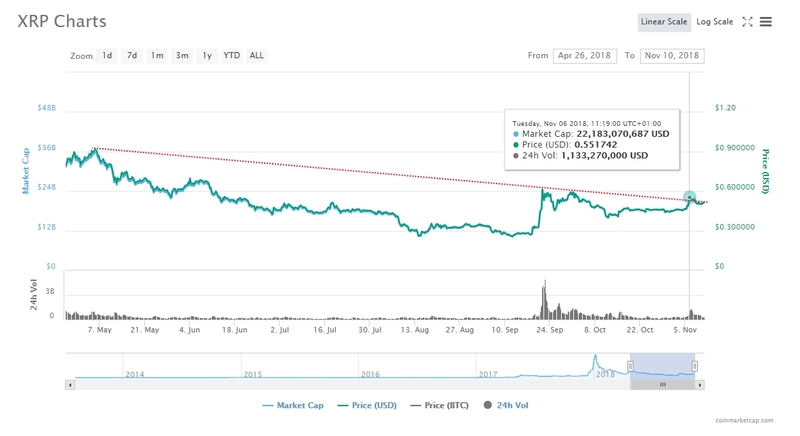 The post Ripple’s XRP Maintaining Position Above $0.5000 Against USD – Nasdaq appeared first on Ethereum World News.